This is a bit of whine so feel free not to read. So I’ve been level 100 for over a week now and already I’m questioning what next. My gear has an item level of 620 and I one shot the silver healing proving grounds so logically the next step would be dungeons. Yet I can’t bring myself to hit queue. This expansion I’ve run exactly one dungeon, Skyreach for the legendary ring chain. Despite people standing in fire, the tank either doing insane damage or most of the party doing lacklustre, not sure which and the fact that we had no issues what so ever, I hated every single second of it. I keep telling myself “tomorrow, tomorrow I’ll ask in guild if anyone wants to run dungeons” but as all procrastinators know, tomorrow never comes. What frustrates me is the lack of understanding of how I came to this, we started playing WoW in early 2005. All through the original game I ran dungeons and raids without a care in the world, I could help Marshall Windsor escape with my eyes shut, I attuned most of my first raiding guild to Molten Core and don’t get me started on the UBRS runs… I often solo healed 15 man groups. We did silly things like 4 man LBRS with me healing and 3 dpsers all trying to out do each other. 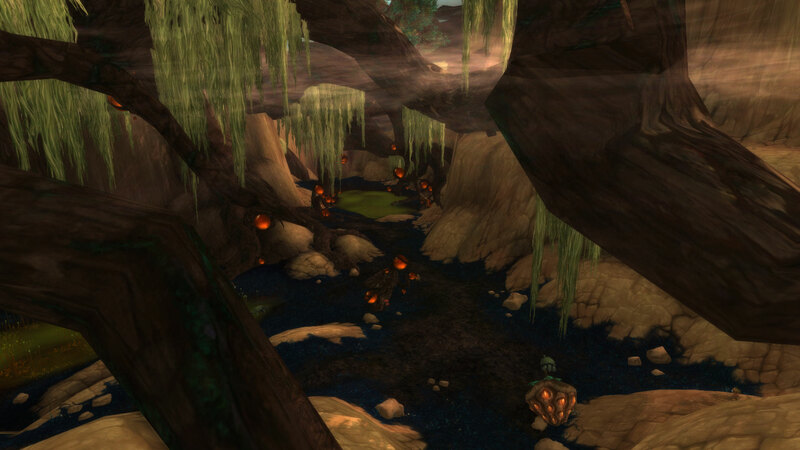 The Burning Crusade, again we ran loads of dungeons. I even healed fellow healers through the Black Morass for the Karazhan attunement in the early days because they couldn’t do it. I raided without a thought. Wrath the rot started to set in but I don’t know why. I still raided without issues but my confidence started to wane. I’d make Mr Harpy two man current heroics with me rather than ask three other people to come along. I’d avoid 5 mans like the plague unless specifically asked in guildchat or under the influence of alcohol. Cataclysm, I took a break not long after the start and when we returned, I just played casually, focusing more on PvP than PvE. I didn’t run dungeons because I didn’t need to. When MoP dawned I told myself it was going to be different. I did some leveling dungeons on various characters and we even ran some heroics in those first few weeks at 90. I joined a guild again despite having sworn off them for life and even attended a few raids where nothing horrible happened and we killed stuff but then the confidence monster caught up with me again and I withdrew completely. So here we are again, everything is new and shiny and yet, I’m still standing at the back trying to find a reason to walk away. I’ve played Priests for almost 10 years now, I’m comfortable in my own ability and I’m happy to heal in PvP so why do I have a mental block about PvE… I wish I knew. I’m pretty sure there are no easy answers and not wanting to take part in PvE is a fine choice if you’re making it because you have no interest in that sphere of the game, but being limited by yourself, well that is something else entirely. 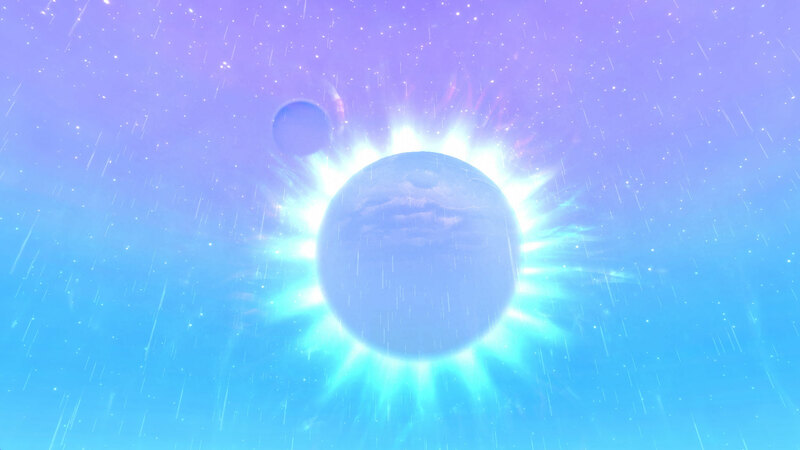 Right now, despite this being in my opinion the best expansion Blizzard have released, I’m closer to quitting now than I ever have been because I don’t see a path ahead. I thought perhaps if I wrote this down, I could try and analyze why I feel the way I do, could perhaps find some understanding of why I allowed this to happen in the first place. We will just have to see whether that is the case or not. 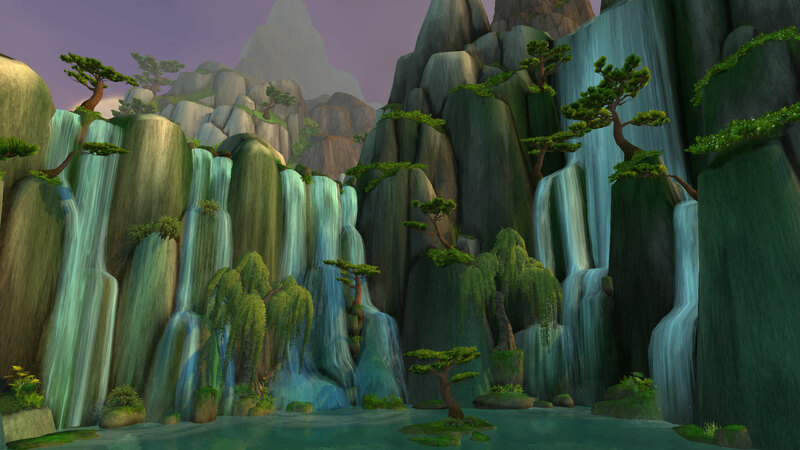 Draenor.. it’s certainly been an interesting ride so far. On Snowflower, despite the fact that she’s level 92 her garrison lies unloved and mostly untouched mainly because I daren’t set foot in it. I spent most of yesterday afternoon stuck to it, attempting to leave only to be ported back and told my transfer was aborted. Clearly Garrisons have rather strong gravitational pull. Sproutling, perhaps because she’s a Gnome and thus has lower mass has had a lot more success and might actually manage to develop hers beyond a Barracks. Questing has been far more successful. 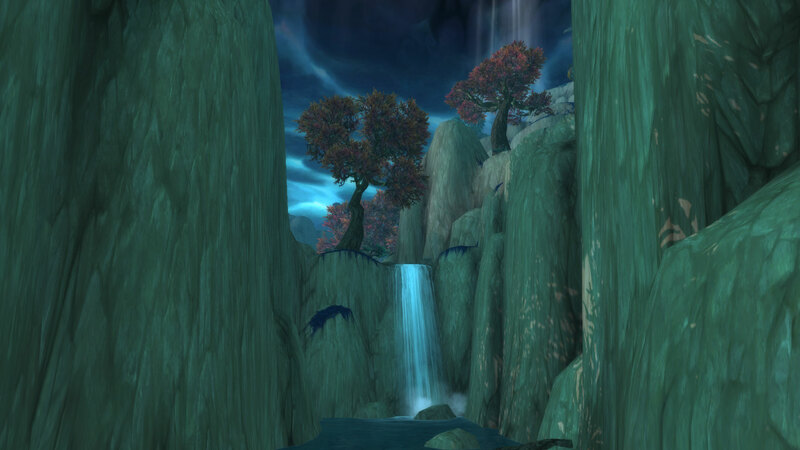 Shadowmoon Valley is without a doubt beautiful and the quest chains fit together nicely. I also love the sheer number of “treasure” dotted around the landscape, whether in the form of rares or just little trinket boxes hidden around the place. In fact I’d argue my biggest bug bear, apart from the Garrisons of course is the fact that half these items don’t seem to go into the Toy Box meaning bag space fills up just as fast. 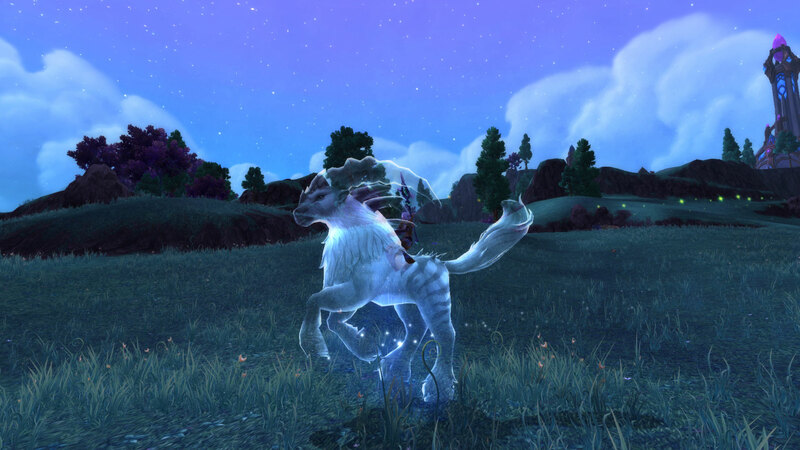 My favourites so far have to be this very fast and quite unpractical mount who drops from Shinri, a rare spawn in Shadowmoon Valley. 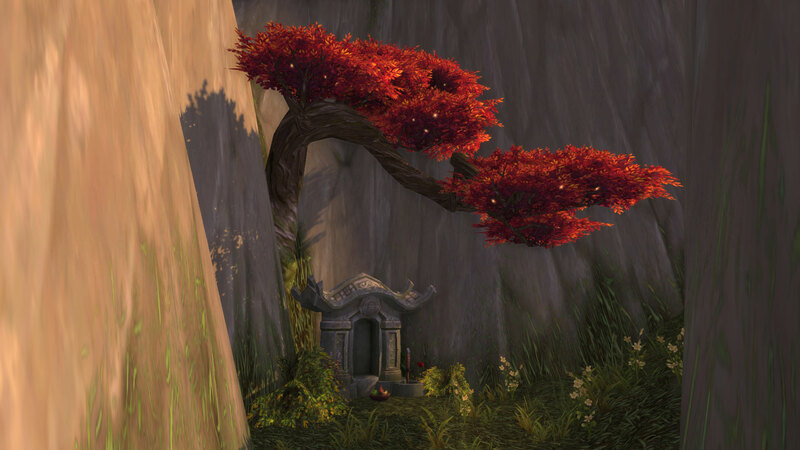 and my Ancient’s Bloom, a toy I fell in love with on the Beta and made sure to grab as soon as possible on live. It drops from Yggdrel and whilst also impractical in that you can’t move whilst tree’d, I love it’s look. All in all, my experiences once away from the Garrisons have been fairly positive, although I see from Trade Chat that many don’t agree. 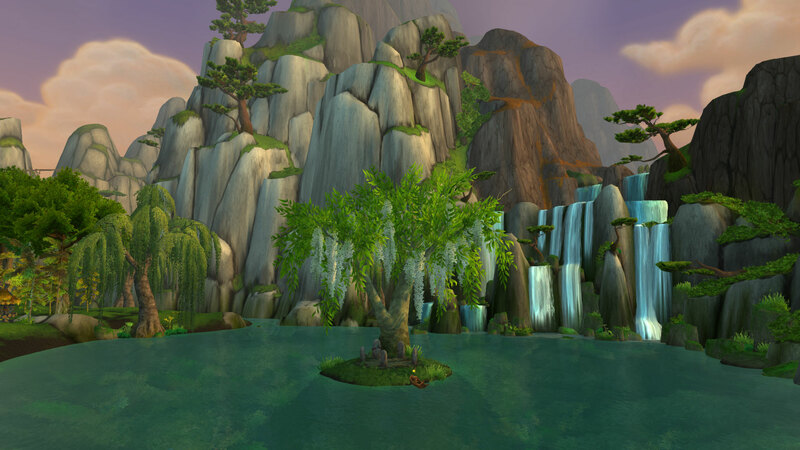 Pandaria whilst beautiful has never been one of my favourite expansions. I’m much more a frozen tundra, fractured ice or burning broken land sort of girl. That said, I still have favourite bolt holes dotted around and I thought on the last day of the expansion that it was only fitting to show you a few of them. 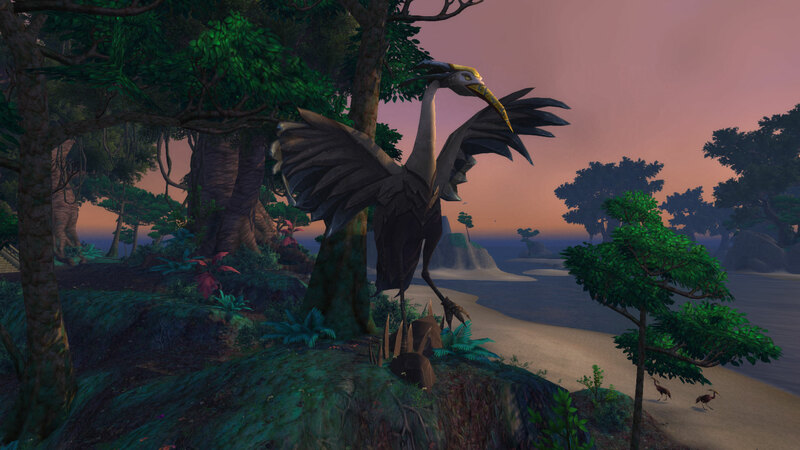 Given that I won’t be leveling straight away due to Mr Harpy’s work schedule, the first thing I’m probably going to do when I wake up on Thursday morning is start establishing Garrisons for the many Alts. This naturally has required some planning and whilst I’m still torn about a couple of buildings on some characters, I thought I’d share my rough Garrison master plan. Dwarven Bunker Large Given that I haven’t raided at all in Cataclysm, a slightly higher chance to get decent upgrades whilst questing would be useful.I like the transmogrification sets, especially the cloth one which can be gathered through the Bunker.Making my seals of tempered fate go further will be useful given how much I hate farming. Stables Large Show me a list and I’m hooked. Collecting whether mounts, pets or toys is a massive draw to me so being able to get mounts through the Stables is a big part of the attraction.As a Holy Priest being able to gather quest items on the go rather than necessarily having to dismount and fight suits me when solo.Being dazed is up there with the suppression rooms in terms of my pet WoW hates. 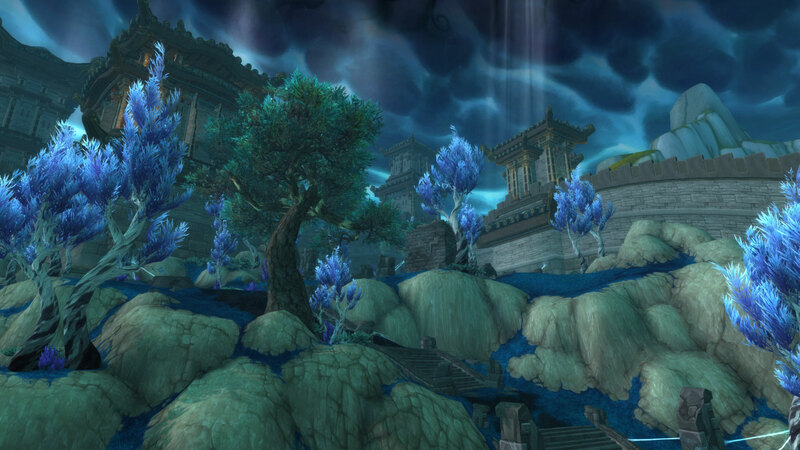 Riding 20 percent faster on Draenor means getting places faster and could be handy for that odd bit of world PvP. 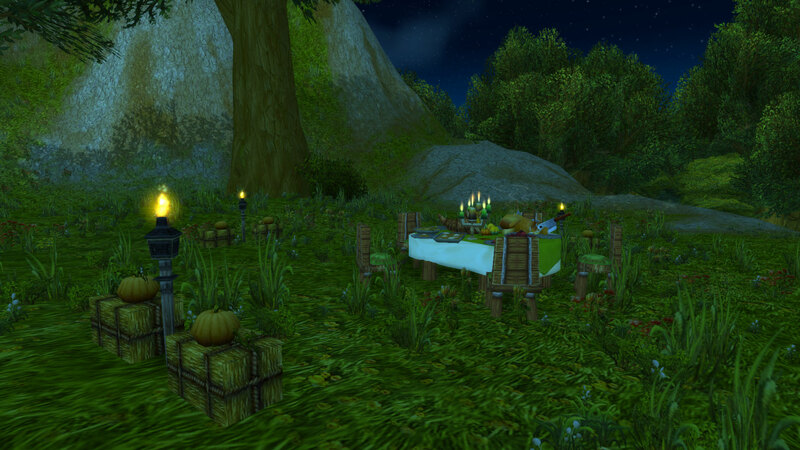 Lunarfall Inn Medium Ignoring the RP aspect, i.e. 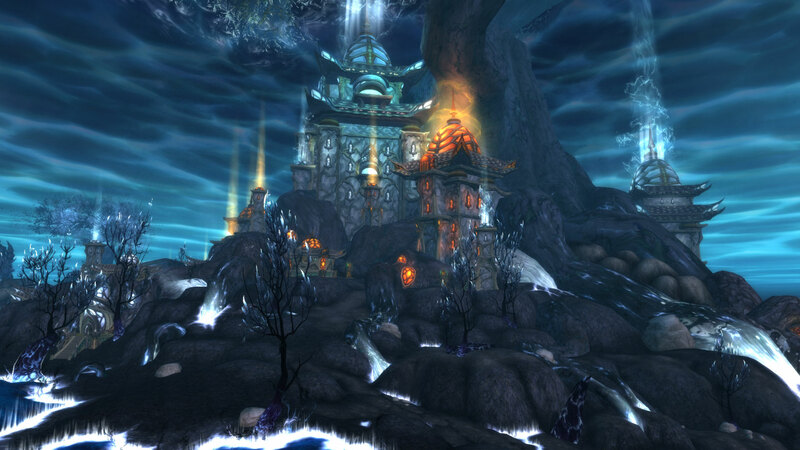 how can you have a Garrison without an Inn.. this appeals again to the collector in me. 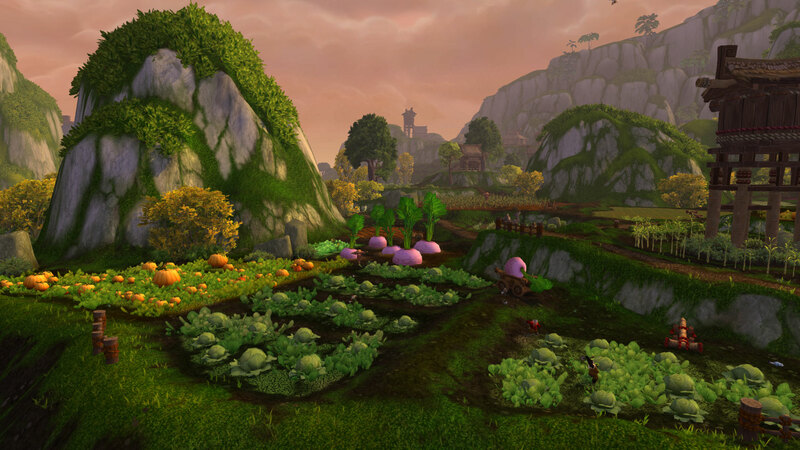 There are two pets, the adorable Everbloom Peachick and the Sentinel’s Companion available from questing through the Inn as well as toys like Gamon’s Braid and the Void Totem. Trading Post Medium Whilst reputations are perhaps less important in this expansion than they have been in the past, i.e. not providing much in the way of gear upgrades, they do give toys and pets. I’m also particularly interested in both Wrynn’s Vanguard as they allow you to acquire some PvP gear and also the Sha’tari Defense whose goodies are only available through the Trading Post. Alchemy Lab Small One of Snowflower’s primary professions plus I’ll already have a herb gatherer in Draenor before Snow due to leveling constraints. Enchanter’s Study Small Because disenchanting always comes in useful. I chose to leave out the Barracks because I’m not hugely interested in the whole follower side, I know not having it will slow down my efforts to get 20 followers to 100 in order to upgrade my Dwarven Bunker but I can live with that. I also don’t like the idea of having a “body guard” whilst out and about given that I already have one in the shape of Mr Harpy and our experiences with NPCs has been lacklustre to say the least, i.e. pulling extra mobs, keeping them in combat with you whilst you’re trying to shadowmeld to avoid dying etc. 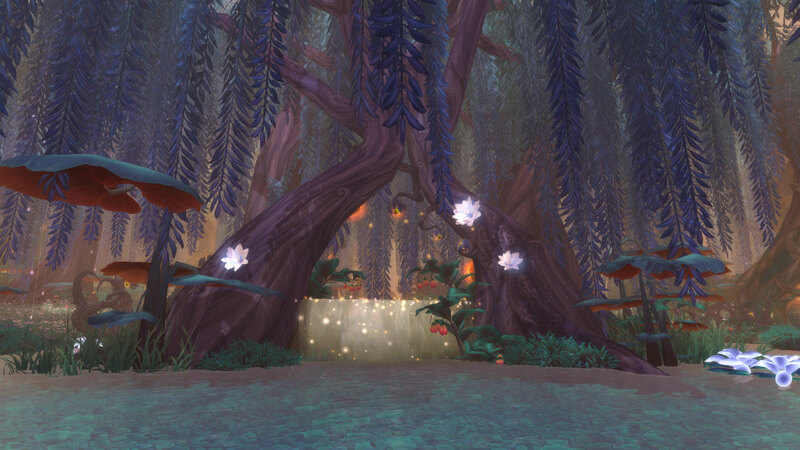 In fact I’m not particularly keen on this building on any character but Mentzelia will probably draw the short straight mostly because I’m not that good at being a Boomkin. Whilst I love the look of the Mage Tower, I didn’t feel that it brought enough to the table other than looking pretty. My Mage however will obviously have one because … well you can hardly call yourself a Mage without a Tower now can you! My Warlock will also probably have one because she wants everything that Mages have. Sproutling will definitely be picking up the Barn, both because it’s useful for tailoring and also because being a Gnome she wants to get herself a pygmy cow. Saying no to the Gladiator’s Sanctum was hard on my main but I suspect my Mage will be picking up and blowing the ashes off the bones. Plus out of combat regen isn’t particularly important to a healer. Needless to say that by Friday, this table could be completely obsolete. 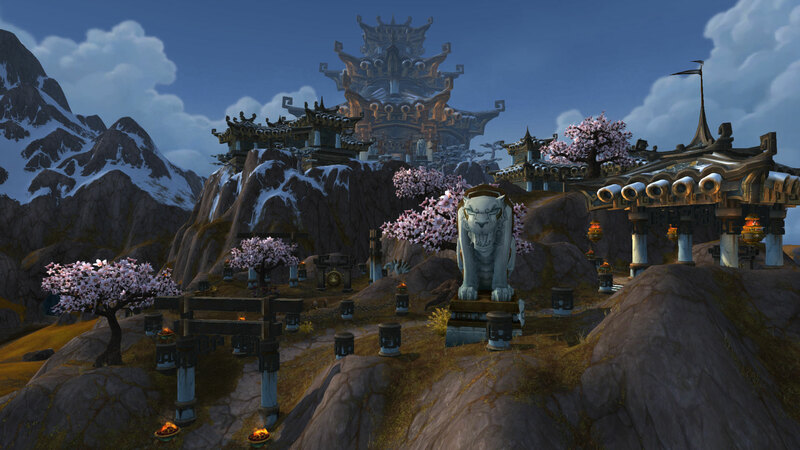 For proper Garrison suggestions, driven by something other than what in my personal option looks good, check out the Godmother’s wonderfully awesome Garrison guide complete with everything you need to know about Garrisons. The expansion is so close, we can almost reach out and touch it. Am I organised? Well I’ve been tasked with planning Garrisons for all mine and Mr Harpy’s alts which had led to lots of happy little lists and diagrams but I suspect I’ll still be changing things right up until Warlords is live. 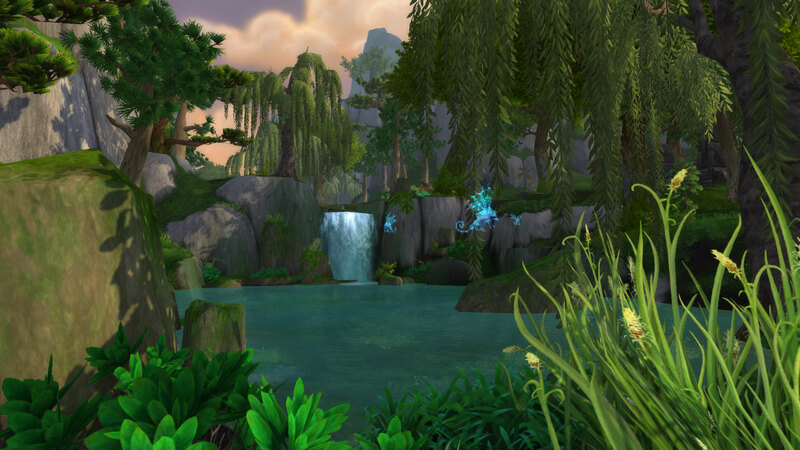 We won’t be starting leveling in any proper fashion until Friday night due to Mr Harpy’s work schedule so from the expansion going live til then, I’ll just be setting up Garrisons for all the alts and doing any final preparations like making sure we have enough easy to eat food. I have gold, more I think than I have had at the start of any other expansion but probably still less than most people. So that’s another thing off the list. Finally and perhaps more importantly, I’ve actually got around to buying the expansion and using my free 90. 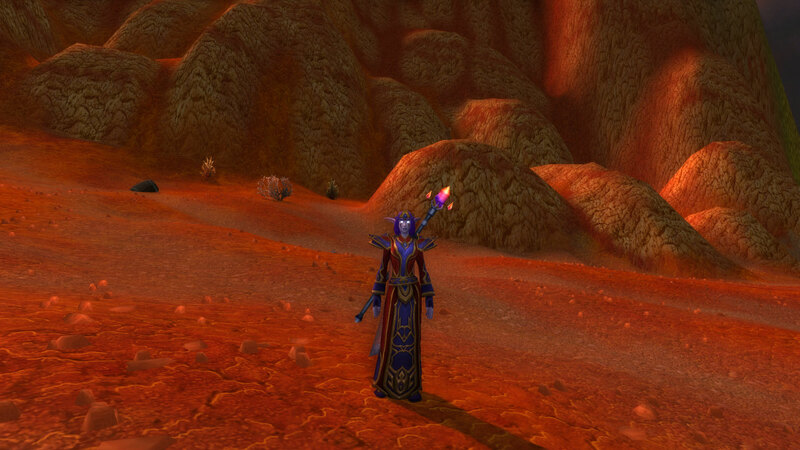 Therefore I’d like to introduce Merrymaker Merrily, fire Mage and all around pest. She’s at her merriest when setting other sentient beings on fire, is looking forward to Ashran and hopes her Garrison comes with some sort of ceremonial fireplace for the immolating of invaders and cremating of critters. Some how I suspect she’s going to be disappointed. In fact the only thing I need to get done by the 13th is come up with a suitably fiery transmog for her, perhaps incorporating the blazing wings.